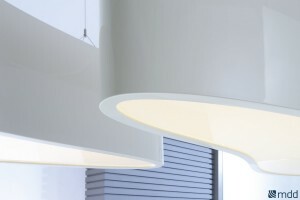 Ellipse lamps perfectly match our reception desks. 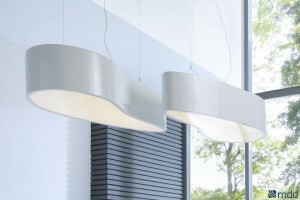 Nothing can change the atmosphere and add elegance to a workplace as much as the right type of lighting. The oval shape and white color of the Ellipse perfectly fit for the reception desk area.